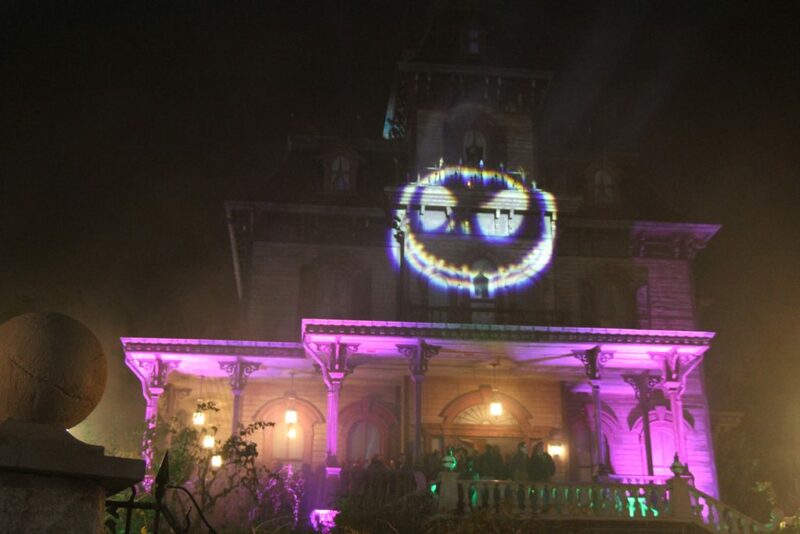 For Halloween, Disneyland Paris is getting a makeover. From October 1st until November 2nd 2016, guests will be amused, spooked and surprised by Disney Characters. This Halloween season, both the goodies and the baddies at Disneyland Park, will create unique experiences for guests, making them laugh and tremble. In all their finery, Disney Villains will prepare their tricks to tease guests. This is their chance to take the lead, providing laughs and ghostly moments. Mickey and friends will still be around, so expect pranks and chuckles from them this season! Despite allowing the Disney Villains to plunge guests into a spooky world, Mickey and friends will be here to help making mischief at Disneyland. Mickey, along with his fellow adventurers, Minnie, Donald, Daisy, Scrooge McDuck and many more will be celebrating the harvest at Mickey’s Halloween Celebration. Bursting with colour and fun, the parade is the climax of the seasonal celebration, which takes a villainous turn soon enough. Also, to make the most of the celebration, head to the Halloween Costume Corner to discover the costumes Daisy is showcasing for the occasion. Stitch also promises to make a few appearances to create a spectacularly mischievous Halloween for guests. Guests looking for a bit of adventure will also love the Park attractions, which provide thrills throughout the year. The loops of Space Mountain®: Mission, the frightening track of Indiana Jones and the Temple of Peril and the delirious speeds of Rock ‘n’ Roller Coaster starring Aerosmith will send shivers down the spines of even the most seasoned rollercoaster fan. And for more unusual thrills, guests will be able to venture off towards The Twilight Zone Tower of Terror. This aptly named attraction will allow guests to rediscover their love of fear, as the elevator plunges them down. One thing is certain; the view is worth the detour. The Halloween spirit will stretch its ghostly arms throughout Disneyland Park, from Main Street, U.S.A.® up to Sleeping Beauty Castle. Sinister and comical, Disney’s Funky Pumpkins* will oversee this transformation, amusing and intriguing guests. Meanwhile, the smiling phantoms of the former inhabitants of Main Street, U.S.A. will invite guests to pose with them, allowing them to immortalise the moment. 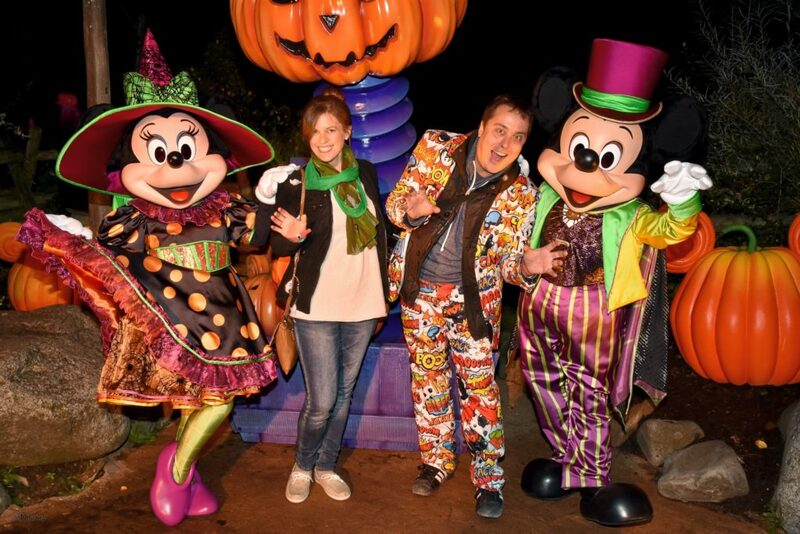 The most daring guests at Disneyland Park can enjoy Disney’s Halloween Party on 31 October 2016 until 1 am. When night falls, they will be able to continue to relish the atmosphere in the Park with fun, frights and surprises, as part of a unique and original experience at the mercy of Mickey and his friends and the tricks they have in store. In order to attend Disney’s Halloween Party, seperate tickets need to be purchased. These tickets can be purchased through the Park’s website. Choose Park Tickets and then Special Events. Here you can choose Disney’s Halloween Party.